The Hautes-Alpes is a great place to get away from the crowds and see some of the most dynamic and impressive landscapes France has to offer. The department links the Rhone Alps in the North with Provence in the South and is packed with vast valleys and high mountains, some reaching over 4000 meters in altitude. The absence of industry means that the environment has been well preserved. No matter what time of year you arrive, there is always something to do. In the winter, skiing and sledging take centre stage while in the summer there are plenty of opportunities for walking, climbing and canoeing. The inhabitants are very proud of their natural heritage. In fact, 50% of all the flora in France is to be found in this department. The departmental capital is Gap. With just 38,000 inhabitants, it is the largest town in the Southern Alps. 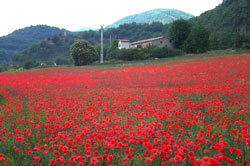 It is a great place to make a base as it lies between the towering mountain ranges and the relaxed rolling countryside. Close by you will find the 'Les Ecrins' National Park and the Serre-Poncon Lake. Briancon, in the north of the department, has the proud distinction of being Europe's highest town. It is also the largest of the alpine ski resorts to be found in the Guisane valley. This area has 300 days of sunshine a year and is renowned for its slopes. There are a total of 111 runs to choose from. The main villages in this area are Chantemerle, with its extremely attractive centre and Villeneuve, just ten minutes away. Make sure you also don't miss out on Monetier-les-Bains, with its rural charm. This spa town is a great place to unwind after a long day on the slopes. To get to the Hautes-Alpes by plane you must fly into one of the neighbouring departments. Marseille, Toulon and Nice, in the south of the region, all have direct UK flights, as does Avignon in Vaucluse. You could also get flights to Grenoble in the Rhône-Alpes. 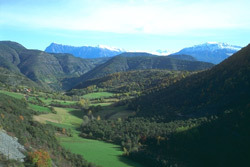 The TGV runs through the Hautes-Alpes too, making train travel a viable option. Briancon has been a shining star in the market, and can offer properties at affordable rates. However these are not easy to find. Do you know Hautes-Alpes better than we do? Do you have photos of Hautes-Alpes?